What a day that was! 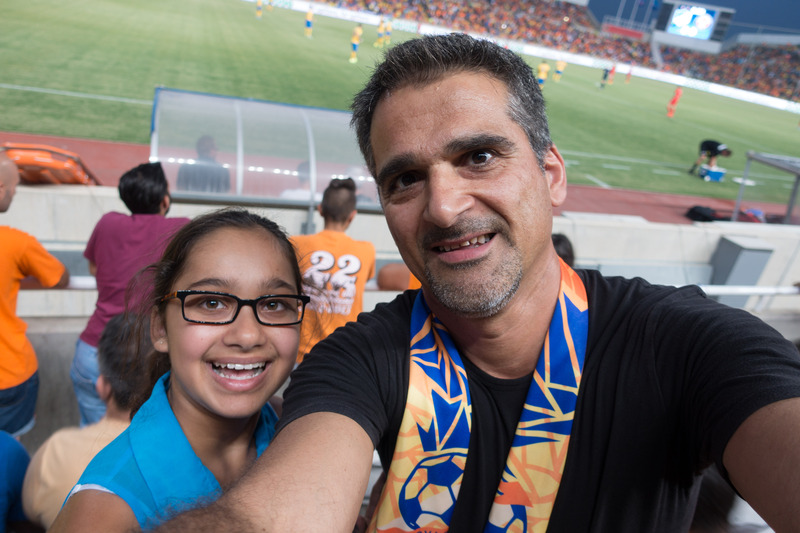 Cyprus soccer champions APOEL of Nicosia was facing the Danish champions in Nicosia, for the UEFA Champions’ League 3rd qualifying round. 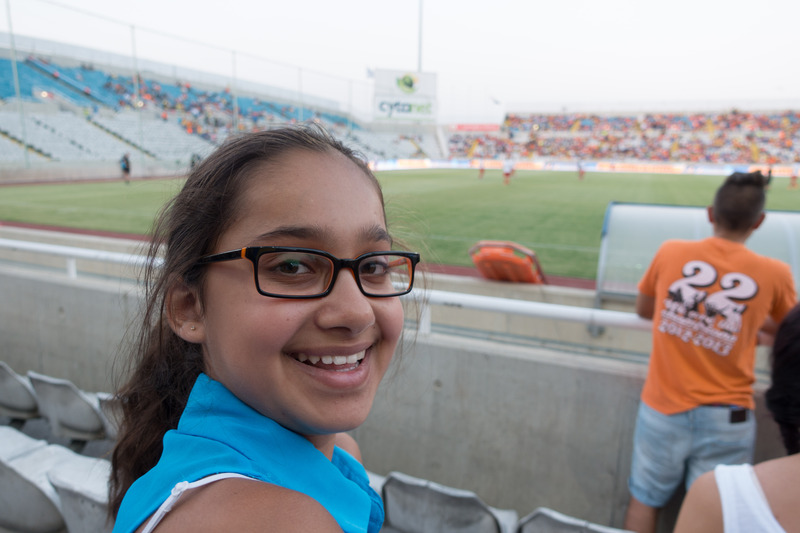 Huge “thank you” to my cousin Sophocles Poullis, who arranged for our tickets and drove us to the GSP stadium. Paress will never forget his words: “This is a gift for my niece”. Back home I watch the FIFA World cup together with Paress – one of the bonding things we do together. 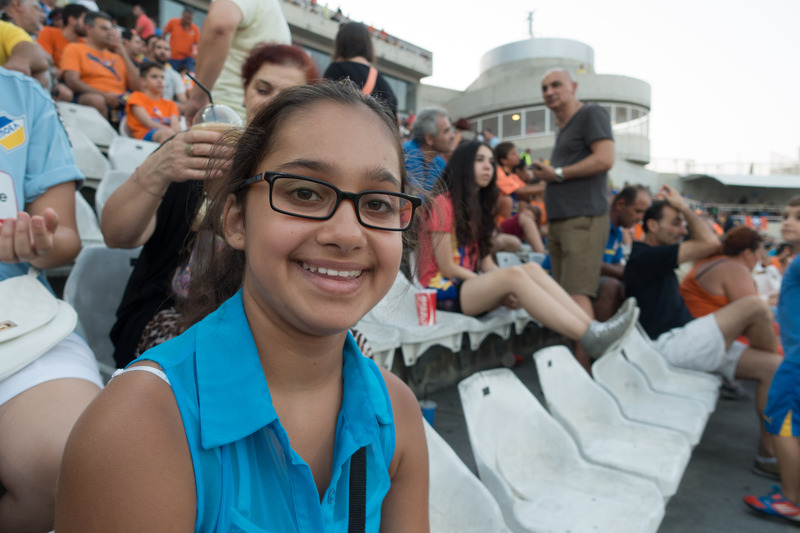 Imagine her excitement – this was her first attendance to a live match, ever!